This is a bird that really lives up to its name! It is beautifully colored. We were able to fully appreciate its colors because it stayed on the flowering plant for a long time. We saw it on two different plants. On the second day, it was on a low tree that was covered in small white flowers. That tree was a bonanza for us -- there were 10 different kinds of birds on it! 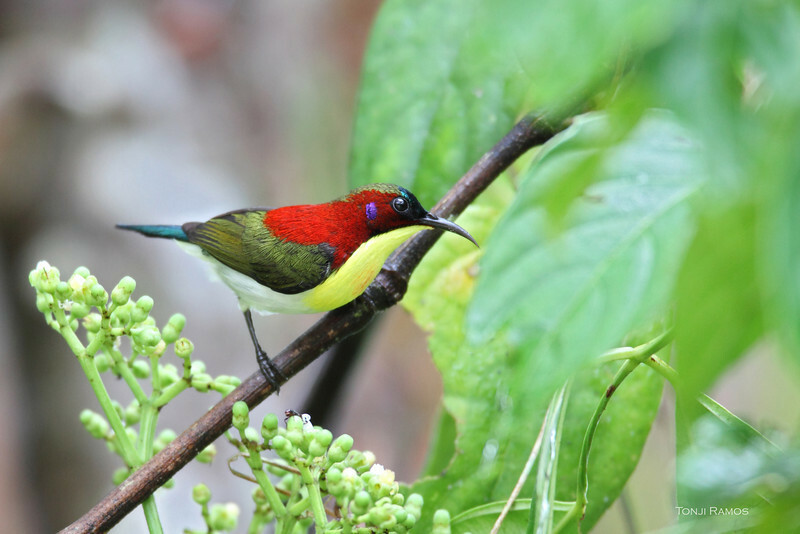 This species was split from the Lovely Sunbird Aethopyga shelleyi found in Balabac, Busuanga, Culion, and Palawan.